The amateur programming scene in Europe was thriving during the late 80s and early 90s. Coders from all over the continent would show off their skills by creating demos – a series of (usually) non-interactive special effects that drove their chosen hardware to the limit. Although there were demos created for all sorts of personal computers and gaming systems, the hacker community that sprang up around the Amiga was by far the largest and most enthusiastic. Hundreds packed into copy parties, demo expos, and conventions dedicated to the powerful Amiga, and it was in this environment that one of the most ambitious software teams ever to tackle the Genesis was born. That company was Zyrinx. The year 1992 saw the collaboration of two talented Amiga demo groups: The Crionics and The Silents. This was not the first time that the two had joined forces – predating their merge was a joint effort on the popular tech demo Hardwired. (Not to be confused with a working title for Red Zone, one of Zyrinx’s later releases.) The demo had made waves in the hacking community due to its impressive visuals and techno soundtrack, but it had only been the product of a temporary alliance between the Crionics and Silents before they returned to healthy competition in the demo scene. Now the two teams were linked permanently and had taken on the name Zyrinx, working from three separate offices in Copenhagen on their first game, Sub-Terrania. It was natural decision to develop the game on Amiga 4000 computers. And thanks to their wealth of experience with pushing hardware, the fledgling company was able to coax the Genesis into doing some extraordinary things. One of those was a sound system that played music at a crystal clear 44khz quality instead of the standard 11khz. Using this special sound system to full effect was Jesper Kyd, a name now made famous by the Hitman franchise. Kyd had worked on music for The Silents’ demos since 1988 and had already gained some notoriety for his innovative use of eerie, soulful electronic sounds. Sub-Terrania was purchased and subsequently released by Sega in 1993. The game was a financial success for Zyrinx, giving them the opportunity to move to Boston and work as an internal development team of the up-and-coming Scavenger, Inc. Critically, however, the results were not as encouraging. Sub-Terrania garnered mediocre scores from almost all of the major review outlets, mostly due to its high level of difficulty. That didn’t deter Zyrinx from beginning work on its next Genesis release: Red Zone. The game was published by Scavenger in 1994. As they had with Sub-Terrania, Zyrinx plowed through the assumed limits of the Genesis hardware and made the console sing like never before. Red Zone boasted rotating textured backgrounds, full motion video compression, polygons, real-time zooming, and vector graphics. Sales were once again limited, this time thanks to a dying Genesis market. In a move that was certainly unorthodox at the time, Zyrinx the beta of Red Zone into the public domain. It seems probable that this was done partly out of respect for their demo scene roots, a phenomenon that was in many ways the precursor of modern emulation. Zyrinx, although a talented development group, was in no way connected to Zero Tolerance, or the Zero Tolerance property, code, art, sound, etc., in any way what-so-ever. I don’t know where that misprint came from. To this day I am the sole owner of the copyright and trademarks associated with Zero Tolerance and hope to resurrect the title for modern game platforms, someday. 1994 marked the end of Zyrinx’s development on the Genesis. They’d released two games in two years, both a marvel of coding and ingenuity that gave everyone a taste of the true possibilities that the Genesis offered. We can only wonder what sort of games might have arisen if other development teams had possessed the same level of skill and ambition that Zyrinx displayed. But yet another example of wasted potential was forthcoming, this time on the short-lived Sega 32X. Sega’s mushroom upgrade seemed considerably underpowered at the time, and many of the games released for it were merely lackluster ‘upgrades’ of existing 16-bit titles. But in a 1995 Scavenger demo, Zyrinx proved to everyone that this was simply untrue. The 32X’s commercially untapped power was on display for a few tantalizing minutes as Zyrinx programmers showcased fly-throughs of polygonal environments, ranging in complexity from gourad-shaded to fully textured landscapes. What made the demo even more amazing was the fact that Zyrinx had been able to pull off those effects on new, mostly unexplored hardware. Given the time, who knows what they could have accomplished? But that was not to be. The Sega 32X died a premature death, taking with it at least one confirmed Zyrinx effort: Nitrowrecks 32X. Little is known about Nitrowrecks, but for the fact that it was the brainchild of Sax – one of The Silents’ original demo scene programmers – and featured a soundtrack composed by Jesper Kyd. Sega’s ‘poor-man’ patch was a dismal failure, but with the launch of the Saturn came a whole new lease on life for Zyrinx. Still operating as an internal development team for Scavenger, they released Scorcher, a futuristic vehicle-based combat game. Much as they had with Sub-Terrania, Zyrinx paid special attention to the game’s sound programming; for the second time Jesper Kyd was able to work his magic on a proprietary audio system. Things were looking bright for Zyrinx – the 32-bit generation promised to be a time of incredible opportunity, and Scavenger was one of the hottest development companies in the business. Ten games were in the development pipeline, many of which were being designed by other talented ex-demo scene teams like Lemon and Fetus. The situation quickly turned sour. Of those ten games, only Zyrinx’s Scorcher and Lemon’s AMOK ever saw commercial release. Scavenger Inc. died in 1998 at the peak of its popularity, taken down by a lawsuit with publisher GT Interactive. Although Scavenger would finally win the case in 2002, it would be too late for Zyrinx. Left without its parent company, Zyrinx disbanded a mere five years after its formation. But the individuals who composed it would continue to make their presence felt in the gaming industry. Mathematicians and programmers not only from Zyrinx but also from the other Scavenger refugees went on to form companies that are still in existence today. Many of Zyrinx’s team returned to Denmark to start IO Interactive, the force behind Freedom Fighters and the acclaimed Hitman series. Another child of Scavenger’s dissolution was Digital Illusions, which would release a monster hit in Battlefield 1942. 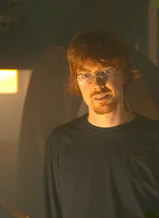 Jesper Kyd stayed behind in the US, moving to Manhattan in order to begin several projects, including Nano Studios and Deftronic. Zyrinx’s legacy on the Genesis, although largely unappreciated at the time, would later be fully enjoyed by retro-minded gamers. Red Zone is now acknowledged as both a graphical masterpiece and an innovative take on a popular genre; even the much-maligned Sub-Terrania has found itself a cult following in those willing to learn its physics engine. But will we ever see a reunited Zyrinx? This seems unlikely, considering not only how far and wide the group has dispersed, but also how successful their new companies are. All we can do is sit back and play the games we were given, all the while appreciating the efforts of a group of hackers that forged above and beyond the lazy standard of mediocrity set by its peers. A group that explored new ground in programming techniques and truly took gamers to the next level, not only in terms of graphical performance but also in ambition of design.